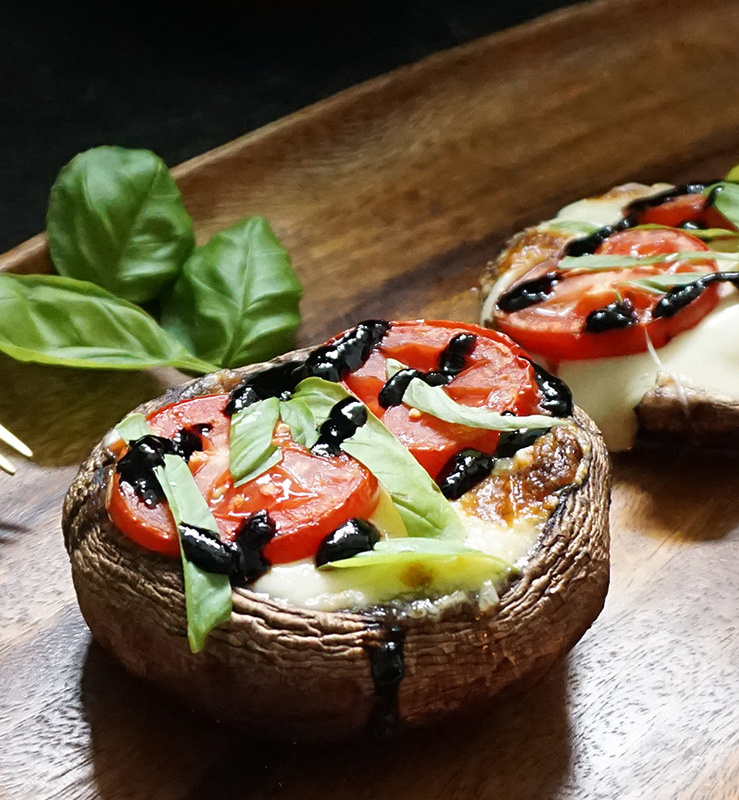 Portobello mushrooms are the gold standard in meat-substitute veggies. They’re dense, meaty, mild in flavor, and very budget-friendly. 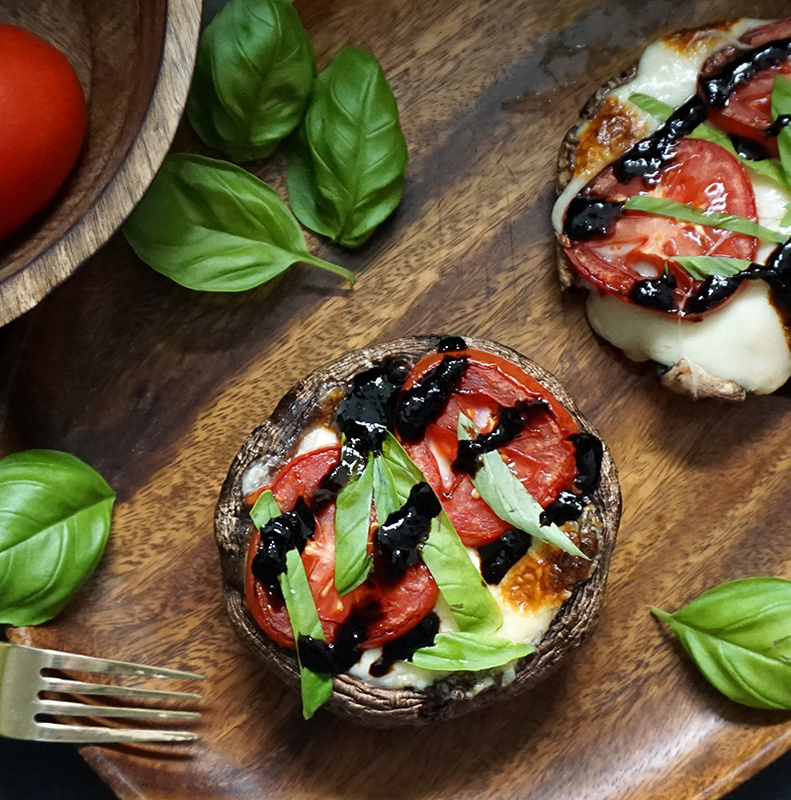 Their round cup shape is also perfect for stuffing in yummy ingredients like mozzarella, Roma tomatoes, fresh basil, and a drizzle of balsamic reduction. 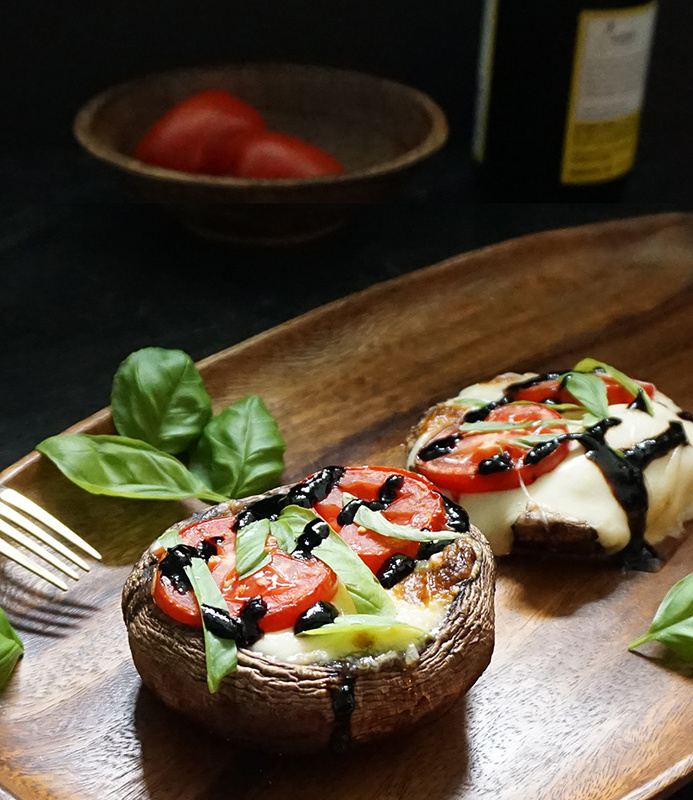 All you have to do to create these caprese stuffed portobellos is fill the mushrooms, stick them under the broiler, and devour. I have to be honest, caprese is awesome, but it’s really just a fresh vehicle for balsamic vinegar for me. 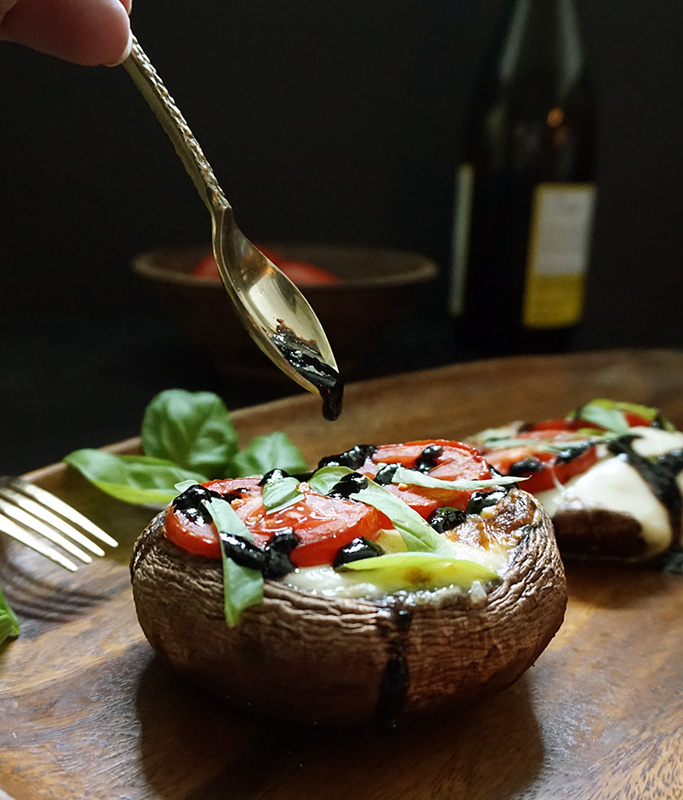 You can totally buy some at the store, but it’s really easy to reduce the balsamic at home, too. 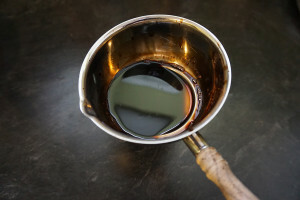 Here’s a tutorial for reducing balsamic. Once you’ve made it, you can drizzle it all over everything you’re making like roasted Brussels sprouts and balsamic strawberries with mascarpone cream. One of the greatest parts of this recipe is actually optional, but SO worth it: the brown butter wash on the outside. Still new to browning butter? 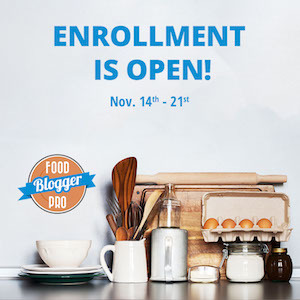 You’re in for a treat — here’s how to do it. Brown butter is flippin’ de-li-cious. 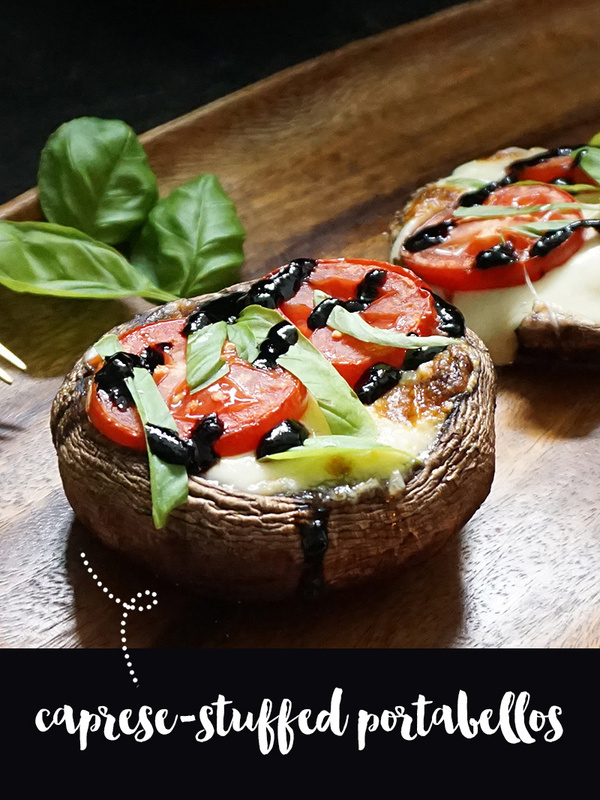 Brush it on to the bottom of the mushrooms for added depth of flavor like you won’t believe. 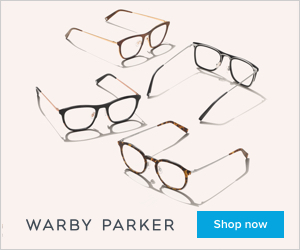 And of course, they’re awesome for vegetarian pals. 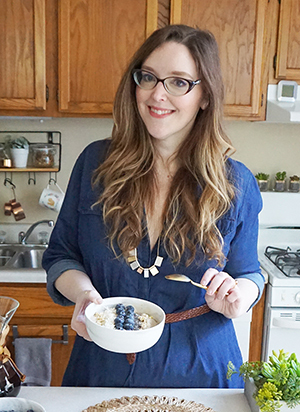 The final result is low carb, gluten-free, grain-free, and pretty healthy so it’ll fit within a lot of nutritional needs if you’re serving a crowd. Preheat oven to broil on high heat and move oven rack to the middle level. 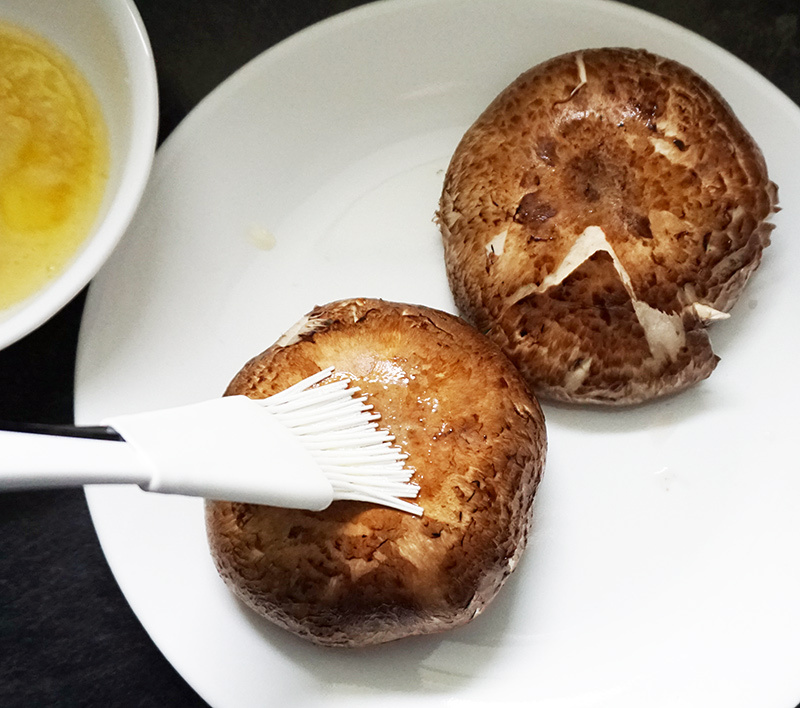 Brush the bottoms of each mushroom cap with brown butter and place them on a cookie sheet, buttered side down. 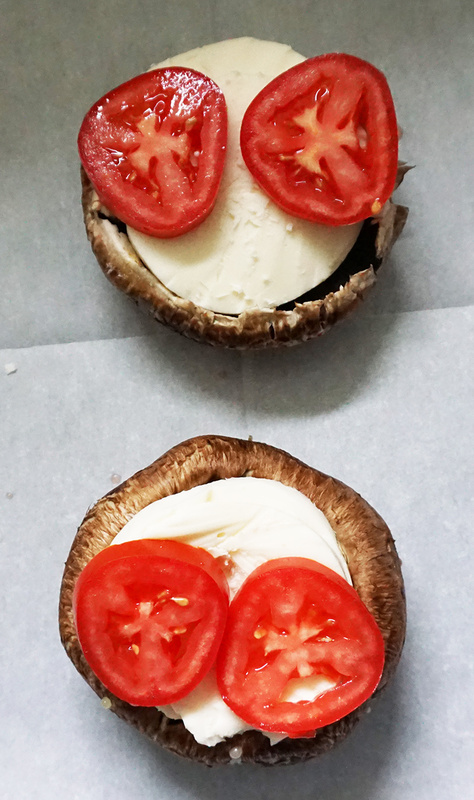 Fill each mushroom cap with mozzarella and tomatoes, and broil until cheese is melted and slightly browned, about 8-10 minutes. 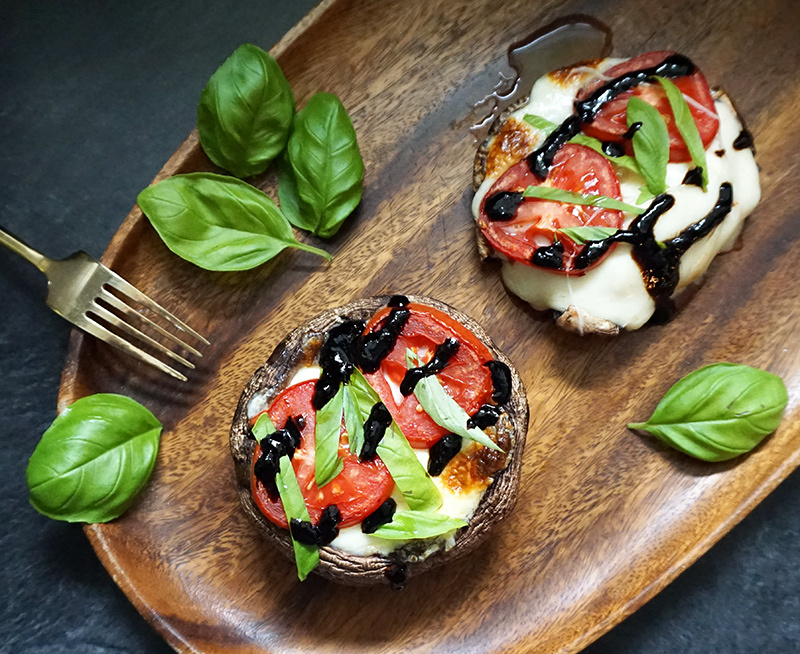 Top with the basil, drizzle with balsamic glaze and sprinkle with salt and black pepper to taste. love how easy and delicious this recipe is, love the browned butter addition too – i swear anything tastes better with it!